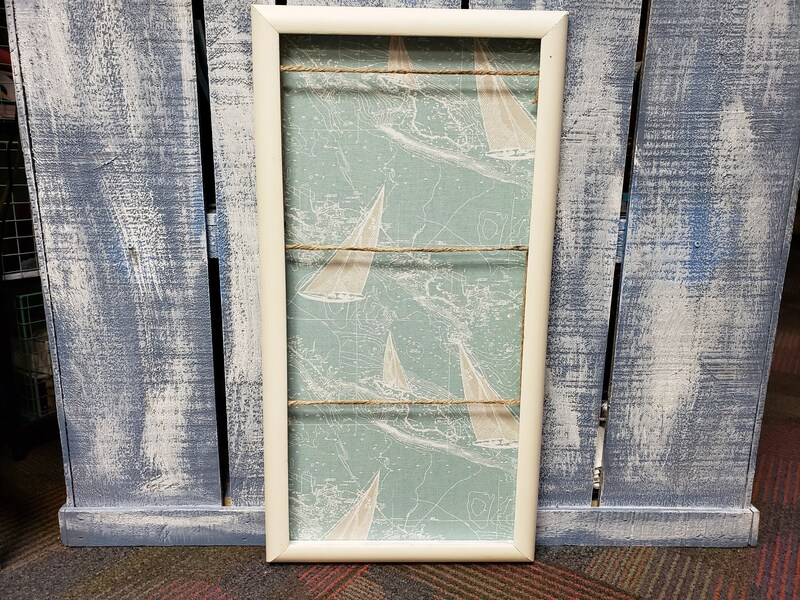 A nautical print with sailboats and lake topography make a fun back drop for a photo display in an office or home. It's a perfect gift for a man or a woman. 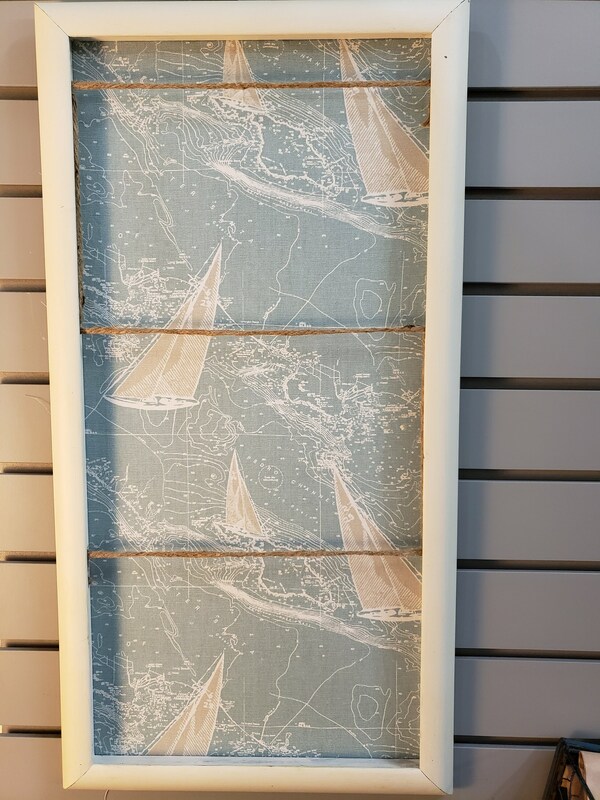 In addition to the traditional use as a photo board, you could use it in a message center to hold memos or as a display for cards or recipes. The uses are limitless. The story board comes with 6 mini clothespins for display. Outer measurements: 25" long x 13" wide x 1" deep. 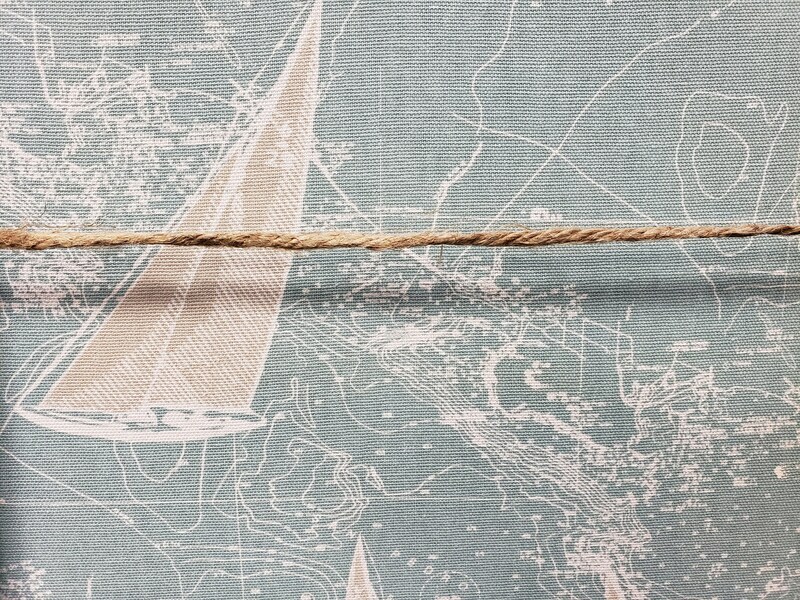 Inner display measurements: 22-3/4" long x 10-1/2" wide.